The ‘Muslim Women Protection of Rights on Marriage Bill’ was cleared by the Lok Sabha and is pending in the Rajya Sabha where the government lacks numbers. The Union Cabinet on Wednesday approved an ordinance making triple talaq a penal offence. 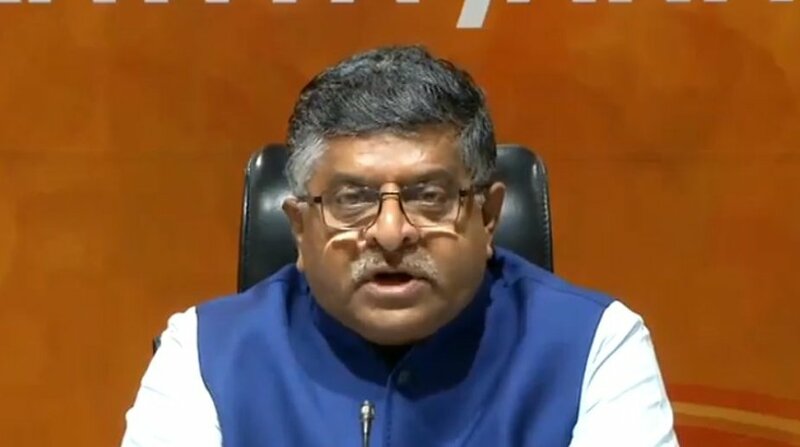 Law Minister Ravi Shankar Prasad gave the information to the media after the cabinet meeting. “I have said this before, the issue of triple talaq has nothing to do with faith, mode of worship or religion. It is a pure issue of gender justice, gender dignity and gender equality,” Prasad told reporters after the meet. “Twenty two countries regulated triple talaq, but gender justice was given complete go-by in India due to vote bank politics. Such a barbaric inhuman, triple talaq curse was not allowed to be ended by a Parliamentary law because of ambiguity and vacillation of the Congress party for pure vote bank politics,” he added. The minister urged the leaders of other parties to help in passage of triple talaq bill in the Rajya Sabha. “Appeal to Sonia Gandhi, Mayawati and Mamata Banerjee to help in passage of triple talaq bill in name of gender justice. There was urgency, compelling necessity for ordinance on triple talaq as practice was continuing unabated,” he said. In 2017, the Supreme Court had banned the practice, in which Muslim men could get instant divorce by saying the word “talaq” thrice.